After seven years of work, and many years of research and analysis, a noted film archivist has completed his meditation on one of the most surprising of cinema collaborations. 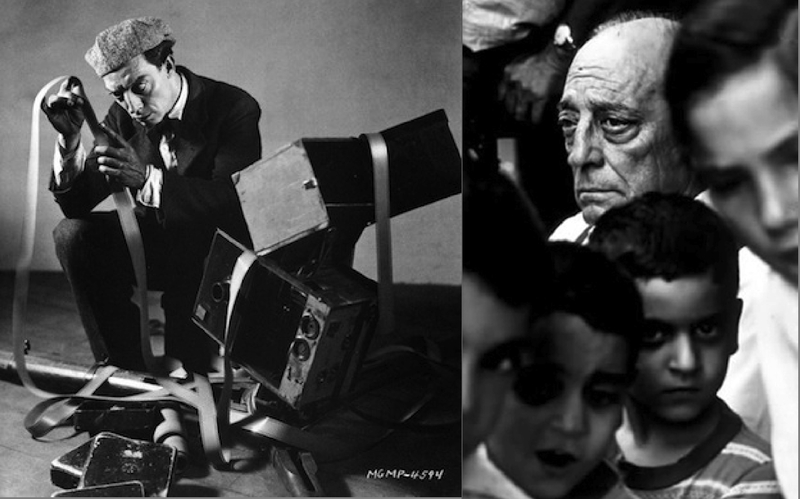 Some 50 years ago, the playwright and novelist Samuel Beckett and the silent-era film star Buster Keaton worked together on a singular creation of cinematic art. 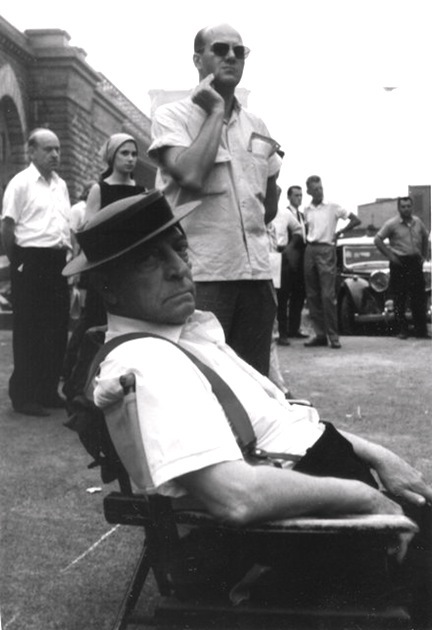 Beckett’s only film, film, has for several years engaged a renowned restorationist, Ross Lipman. 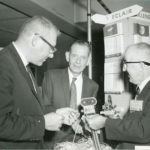 After first restoring film, he has been making a film about it. Until July 2015 a long-time senior film restorationist at the University of California at Los Angeles Film & Television Archive, but now working independently, Lipman has won high honors in film restoration for his remarkable work on a string of important films. He has also long pursued an idiosyncratic course in film commentary and film making. He created collage works in the 1980s, “narrative portraiture” in the ’90s, and more recently video and pictorial essays, and in all of those he has rethought the conventional parameters of film art and craft. That, rather than the aged Keaton’s key presence, is at the core of film. 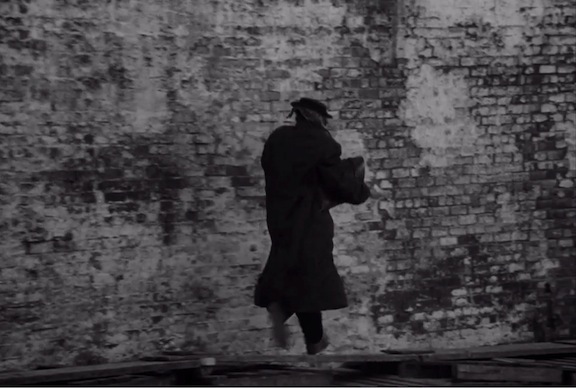 As it opens, an eye fills the screen, and then the camera pursues through an urban landscape a scruffy man in an overcoat whose face is obscured, but who wears the flat-topped hat associated with Buster Keaton, so that the silent-film star is obliquely present. At the end of the film, the camera does catch up with the napping Keaton character, and viewers catch sight of his distinctive face, although with one patched eye. It’s no ordinary chase, but rather one “between camera and pursued image that finds existential dread embedded in the very apparatus of the movies itself,” stated the notes to a 4K restoration that Lipman and his UCLA colleagues made in 2011 for Anthology Film Archives, in cooperation with the British Film Institute, and that Milestone Film & Video issued (so far, only for institutional sales; but see below). 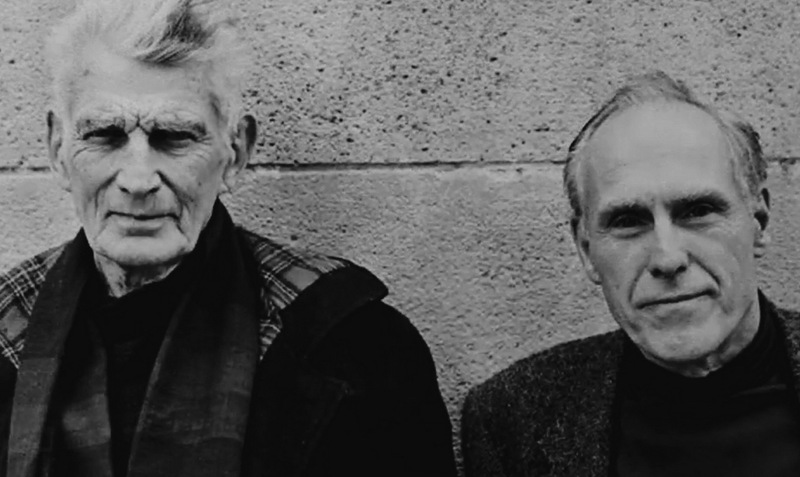 The collaboration that Lipman characterizes as “one of the strangest experiments in movie history” – and that only devotees of avant-garde theater and film history are likely to know exists — took place well into Beckett’s career in fiction and theater, which five years later would attract a Nobel Prize in Literature. In 1962, Barney Rosset, the founder in 1951 of the radical Grove Press, formed the Evergreen Theater to commission film scripts from Grove authors, and a couple of others. 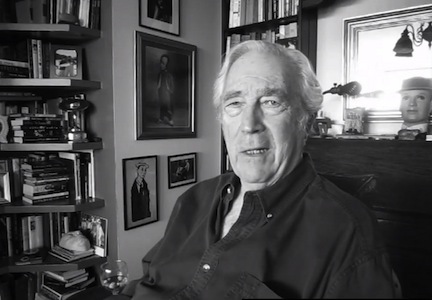 Publishing had diverted Rosset’s own strat in filmmaking: in 1948, he had made Strange Victory, a “semi-documentary” film about the racism faced by black soldiers returning from World War II. Now he sounded out Harold Pinter, Eugene Ionesco, Marguerite Duras, Alain Robbe-Grillet, and Beckett, who all agreed to the idea, and Jean Genet, who declined as did two non-Grove authors, Gunter Grass and the Austrian writer Ingeborg Bachman. Pinter’s 1964 script, The Compartment, was not made, but he reworked it later for television as The Basement. Ionesco’s contribution was The Hard-Boiled Egg; “due to some very complex and very expensive special effects,” Rosset did not succeed in having a film of that made until 2005, when James Foutopoulos shot one. Duras and Robbe-Grillet both wrote full-length scripts but, Rosset wrote in 2000, “for both scripts the timing was wrong” and Rosset never made them. 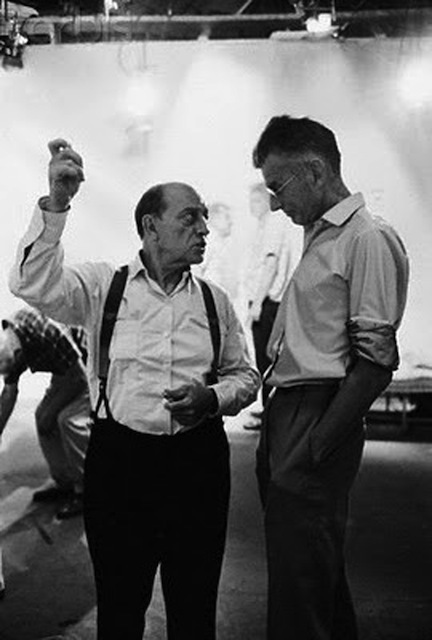 Rosset entrusted Beckett’s script, the only one to be filmed right away, to Alan Schneider, who was one of his partners in Evergreen Theater, and who had directed American productions of plays of Pinter and Edward Albee as well as of Beckett, with whom he had become a good friend. 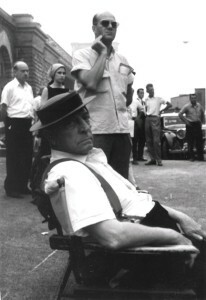 Buster Keaton ended up in the film because Beckett’s first choice, Charlie Chaplin, was by then not even reading scripts, and Beckett actor Jackie MacGowran was otherwise engaged, as was another actor Beckett considered, Zero Mostel. 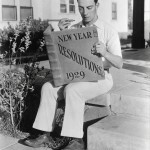 The idea of using Buster Keaton came from a supporting-role actor, James Karen, who knew Keaton well. Although Keaton had declined in 1956 to play Lucky in the Schneider-directed American premiere of Waiting for Godot, Schneider traveled to Keaton’s Hollywood home to “woo” him, and succeeded. 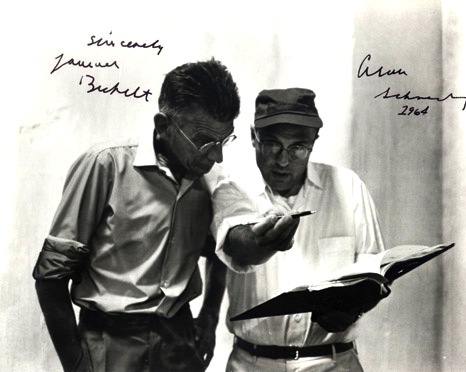 In July 1964, Beckett and Schneider convened a two-day pre-production meeting of the crew at Rosset’s summer house in the Hamptons, on Long Island. Schneider had had to bend Beckett’s arm to come: “New York, he assumed, would be too loud and too demanding, too many interviews and cocktail parties. He preferred the quiet of Paris and his country retreat at Ussy. But to work on this one, he would.” Once Beckett was there, Schneider would cede much directing control to him. The cameraman would be Boris Kaufman, who had won an Academy Award for his cinematography on Elia Kazan’s 1955 film starring Marlon Brando, On the Waterfront, although Rosset was at the time unaware of that work. Kaufman was the brother of an avant-garde filmmaker of some renown, Dziga Vertov; but above all Rosset hired him because he had shot two of Rosset’s favorite films, both by Jean Vigo: Atalante in 1934 and Zero de conduite in 1933. The editor would be Sidney Meyers, an acclaimed filmmaker and, according to Rosset, “a consummate musician, a self-effacing, literate, and intelligent man” who “got along beautifully” with Beckett. Little more than a week after that meeting, the film was shot over 11 days, with the camera chase, then a 5-minute scene on some stairs, followed by a 17-minute sequence in a room. Just a week later, after some initial editing alongside Meyers, Beckett returned to France, and his only visit to the US was over. Over time, analysts of what is actually in the film, as distinct from what its first reviewers thought should be in it, have suggested that Beckett actually knew what he was doing in making a virtually silent film that was not a “silent film” in the usual sense. The philosopher Gilles Deleuze would call the result the “greatest Irish film,” and he has been among many analysts and theorists of culture to find the work provocative. One peculiar response to it came in 1979 when the British Film Institute produced a re-make, Film: A Screenplay by Samuel Beckett, directed by David Rayner Clark and with Max Wall, a film and Beckett stage actor, in the role Keaton had played. Beckett took no part in the production; nor apparently had he said anything about it by the time he died in 1989. 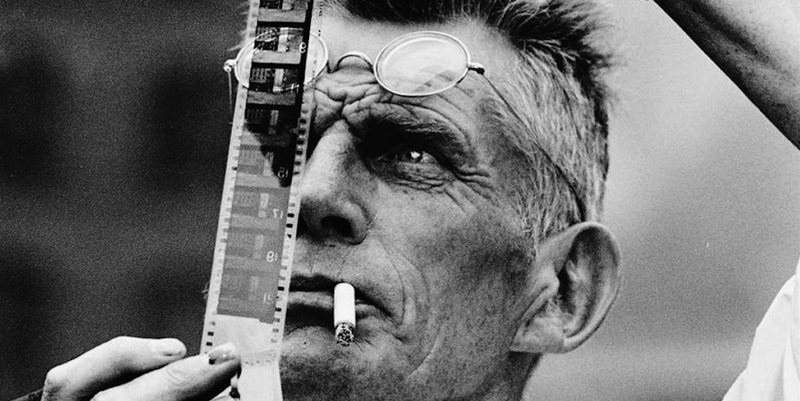 When Ross Lipman began to make his film about Beckett’s film, he had all this to ponder. He had read Beckett’s script years earlier, while a student at the University of Michigan. He then studied there under Rudolf Arnheim, a noted German theorist of the perception of art who had influenced Beckett’s view of film. Lipman, on learning that Arnheim was unfamiliar with Beckett’s sole venture into film making, wrote a term paper about it. Fast forward three decades, and Beckett’s film would reenter Lipman’s life. 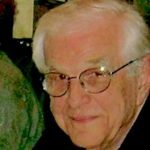 Andy Lampert of Anthology Film Archives, knowing he would be interested in restoring the film for a new edition that Milestone would issue in 2011, introduced him to Barney Rosset at Grove Press, and Lipman began a series of meetings with the publisher. Lipman knew that Beckett had had to cut back the opening scenes of the film from eight minutes to one due to problems that arose during the first day of filming. Schneider had described those in such terms as beginning-director problems, light problems, traffic problems, actor problems, camera problems, wobbling dollies, and ill-matched swish pans. And then other hitches became apparent when Rosset, Schneider, and Beckett watched the day’s rushes. 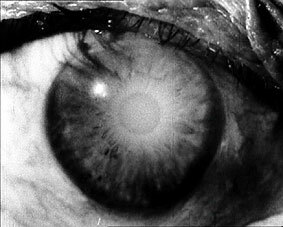 The whole schema of the film shoot posed challenges that, in Rosset’s 2000 account, the crew seemed to try to resolve by improvisation: Kaufman sought to render Beckett’s desire that his film present “two perceptions, the extraneous perception and [the Keaton character’s] own acute perception, that is, the eye that follows that sees him and his own hazy, reluctant perception of various objects” by using tones of light to differentiate the two, but fell short. 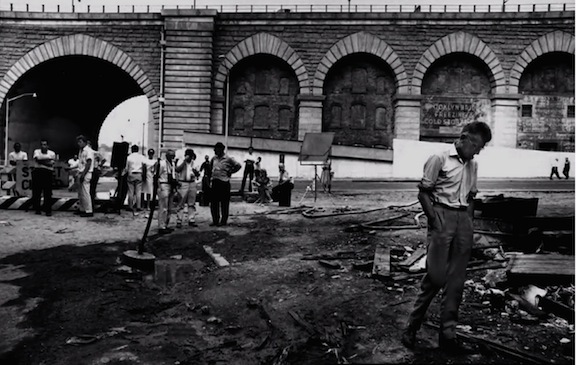 The shooting of the film’s prologue, outdoors in Manhattan, near the Brooklyn Bridge, was beset by problems. Beckett pondered what to do, and settled on a major revision of his film’s opening sequence. Lipman uses just one minute of the reconstruction in notfilm, proper, and stresses that it is a reconstruction of what Beckett might have made, rather than a restoration of what he did make; but the whole 6-minute piece will come with the DVD/Blu-ray package that will accompany the issue of notfilm. 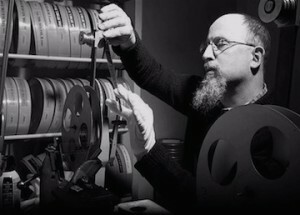 In a demonstration of how highly they consider Lipman’s distinctive work, Amy Heller and Dennis Doros, the founders of the film-reissue company Milestone Film & Video, are making notfilm their first foray into film production, and will issue it in a bundle with the 4K restoration of film, along with other extras. In October 1965, he told Rex Reed of the New York Times: “The director, Alan Schneider, just told me to keep my back to the camera and be natural. 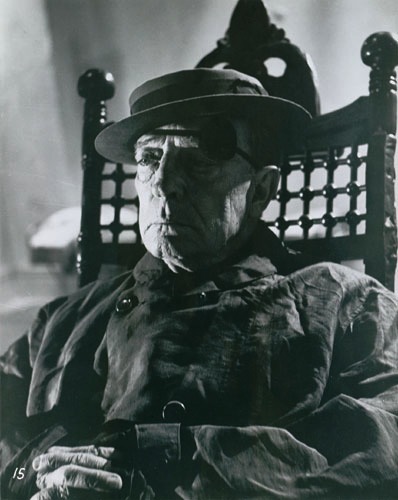 Beckett told Kevin Brownlow that he found Keaton “very competent” and “his movement was excellent,” and that he seemed to enjoy helping to create one of the film’s several scenes; yet, he also found the actor “inaccessible” behind “a poker mind as well as a poker face,” and appeared not ever to have read the film’s script. “I don’t think he approved of it or like it,” Beckett told Brownlow. Keaton and Beckett: not so eye to eye. All the more so because if Keaton had looked into the matter more closely, he might have discovered that Beckett was quite a sportsman, himself – he had played first-class cricket for Trinity College Dublin. At high school he had also stood out in rugby, golf, tennis, swimming, boxing, and diving. It surely should bear more on Beckett scholarship that during his one and only visit to the United States, he spent a day at New York’s Shea Stadium watching the Mets, happily. Well, asked Brownlow, what was it about? Beckett told him: “It’s about a man trying to escape from perception of all kinds – from all perceivers, even divine perceiver. 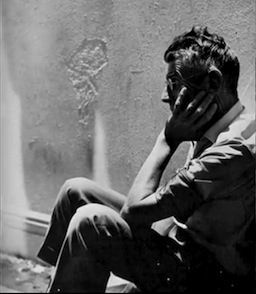 … But he can’t escape from self perception.” That Beckett said, was the perception Bishop Berkeley had had. film in the 4k restoration that Lipman made in 2011 at the UCLA Film & Television Archive and Lipman’s Notfilm is expected to take place in early 2016; BFI will handle UK release. 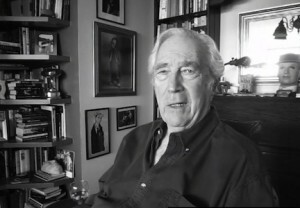 Notfilm has interviews with Barney Rosset, just before he died; James Karen, who as Keaton’s friend was on the set during much of the production; cinematographer Haskell Wexler; the now-late Beckett actor Billie Whitelaw; film critic Leonard Maltin, who visited the set as a 13 year old; Kevin Brownlow; and others. Restorations: Charles Burnett’s Killer of Sheep, Kent Mackenzie’s The Exiles, the Academy Award-winning documentary The Times of Harvey Milk, and works by Charlie Chaplin, Orson Welles, Shirley Clarke, Kenneth Anger, Barbara Loden, Robert Altman, and John Cassavetes. 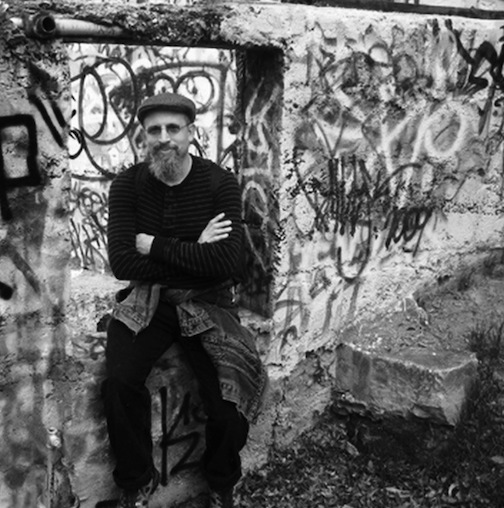 Recent projects: Thom Andersen’s Eadweard Muybridge, Zoopraxographer and (with Conner Family Trust) Crossroads. 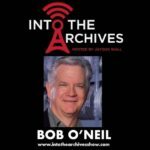 Awards: Anthology Film Archives’ Preservation Honors, 2008; three-time winner of the National Society of Film Critics’ Heritage Award. Publications: essays on film history, technology, and aesthetics in Artforum, Sight and Sound, and many academic books and journals. Filmmaking: Films screened and collected by the Oberhausen Kurzfilm Archive, Budapest’s Balazs Bela Studios, Munich’s Sammlung Goetz, The Academy Film Archive, Anthology Film Archives, and Northeast Historic Film.